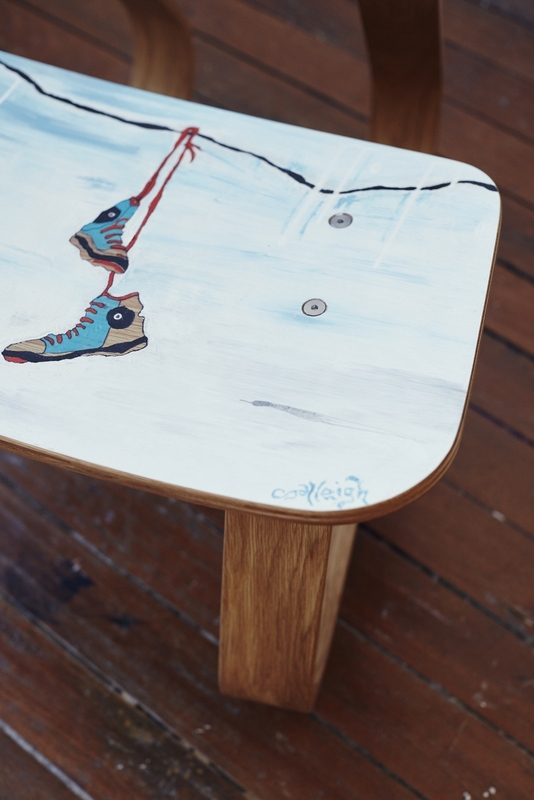 Furniture maker Ben Percy, and contemporary artist Salleigh Olsen nominated StreetWork, a Sydney based charity helping "at risk" young people. The Flex Chair is an articulated seating system which provides users with a unique ergonomic experience. The chair is created by re-sawing solid American Hickory and as the seat and backrest are separately supported, the laminated legs ‘flex’ as individuals sit down. 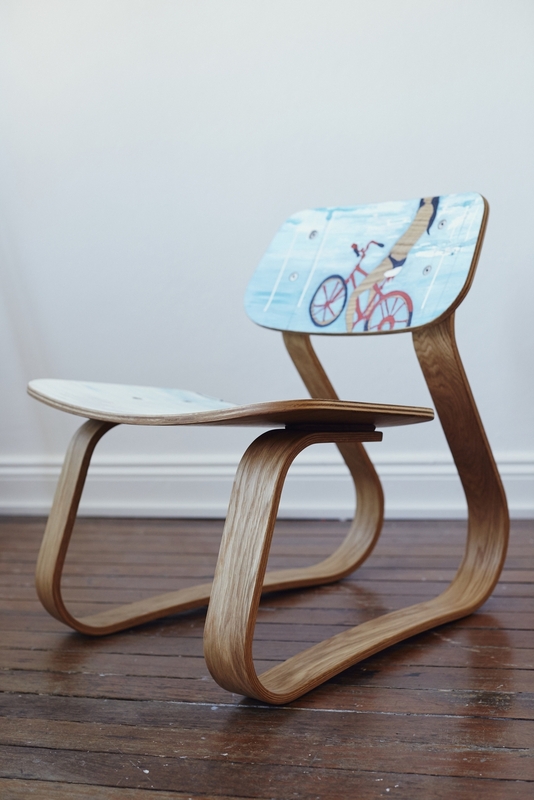 The Flex Chair is not only designed as a functional piece of furniture, it is a medium from which to display the stylish and captivating artwork of Salleigh Olsen. 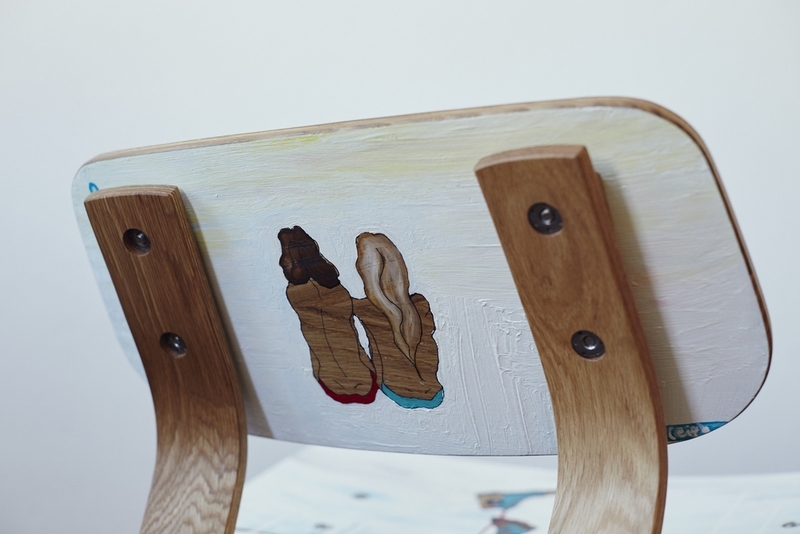 The artwork design for the chair was to capture the story and essence of the individual’s emotive thoughts on discovering identity, friendship and environment. Ben has found a fine balance between making furniture and teaching the craft to others. “It’s not a career that you can disengage with when you leave the workshop at night,” he reflects. “You are constantly creating, seeking inspiration and learning. It’s your passion, your life.” Ben currently teaches furniture classes at Heartwood Creative Woodworking as well as teaching emerging furniture makers at Freshwater Senior Campus in Sydney’s Northern Beaches. View Ben's Handkrafted Profile here. Having sell out solo shows in the past, her works have been well received for originality and diversity. View Salleigh's Bluethumb Profile here. View the StreetWorks website here.